Things I didn’t know I needed. 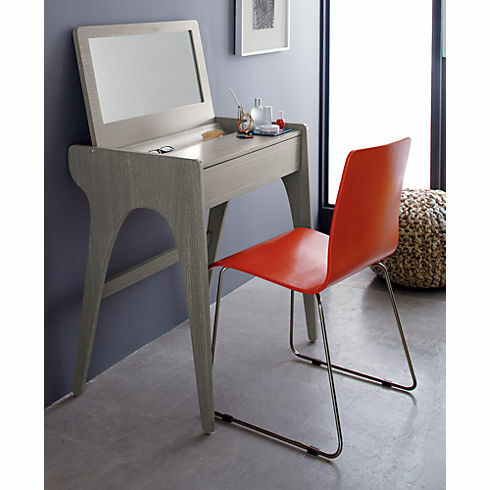 I am so in love with this vanity from CB2. Holy Crap! I mean in LOVEEEEEEEEE! Since moving to Chicago, and traveling back to NY, I have downsized my clothing, so I can finally get rid of my ugly Ikea dresser (thank the lord). But this leaves a big empty spot in my bedroom. Obviously I need a vanity. This one is just so pretty, I just can’t keep it out of my mind. Ugh, want v. need, the ultimate struggle.